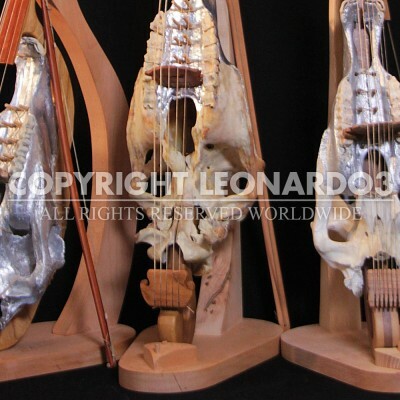 There is not a single reference to the Silver Lyre on any of the over 6 thousand folios by Leonardo that have come down to us. But this is no surprise, since thousands of drawings and manuscript pages have been lost. The only way we can reconstruct this instrument is by using the clues that do exist and getting into the spirit of research and experimentation that was typical of Leonardo. We know that the instrument is a lyre of the 15th century, similar to modern violas. We imagine a horse’s skull was used to build it. Indeed, Leonardo studied the anatomy of this animal for a long time. And during his observations, he must have realized that its strength and all its internal cavities would make this cranium’s resonance good enough to be used as a sound box in which to place the instrument’s handle. 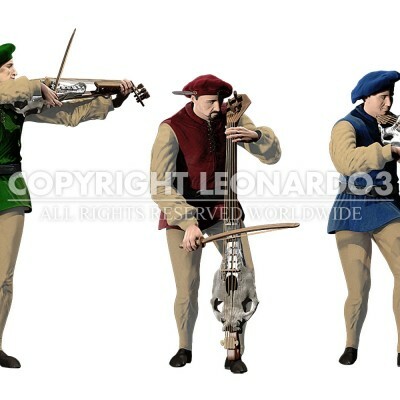 After studying all the possible combinations, three types of instruments were created: a leg-held five-chord lyre, made using a large skull; a lighter, arm-held, six-chord lyre adapted for techniques like pizzicato; and a smaller, four-chord lyre that can be played like a violin.